Upholstered in Black LeatherPlus. 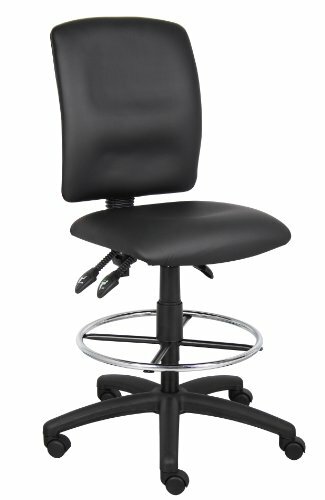 Back angle lock allows the back to lock throughout the angle range for perfect back support. Seat tilt lock allows the seat to lock throughout the tilt range. Pneumatic gas lift seat height adjustment. Nylon base. Hooded double wheel casters. 20" diameter chrome Footring.